Welcome to the Real Boxing Cheats and Codes page where our team of contributors will help you with a set of cheats, codes, hints, hacks, tips and unlockables. If you are stuck on something specific and are unable to find any answers on our Real Boxing Cheats page then be sure to ask the Real Boxing Forum / Community for help and advice in the discussion box below and they will get back to you as soon as possible with an answer! Finally, if you have been playing Real Boxing and wish to help other users, feel free to sign up and start contributing! Real Boxing is a boxing game developed and published by Vivid Games, launched for iOS, Android, PlayStation Vita, and Mac. The game was first launched on November 15, 2012 for iOS, later on August 27 for Android, August 28, 2013 for PS Vita, and February 27, 2014 for Mac. 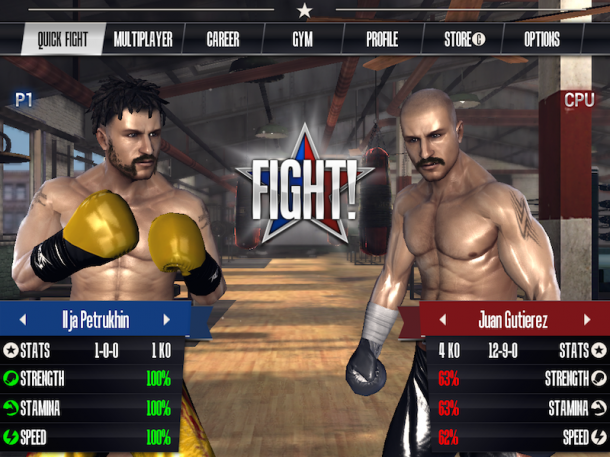 The game is set to bring you the most exhilarating and true-to-life boxing simulation in existence. Featuring ultra-realistic motion capture from real boxers plus amazing graphics created with the powerful Unreal Engine, you’ll feel every hook, jab, and uppercut, with visible body damage and facial emotions appearing on boxer’s faces during matches.